MILAN, Jul 15, 2014/ — Missoni had chosen Joan Smalls and Justin Barnhill to represent the brand on its Fall/Winter 2014-15 advertising campaign. The new campaign is once again shot by Dutch photographer and artist Viviane Sassen and styled by Vanessa Reid and Stephen Mann. 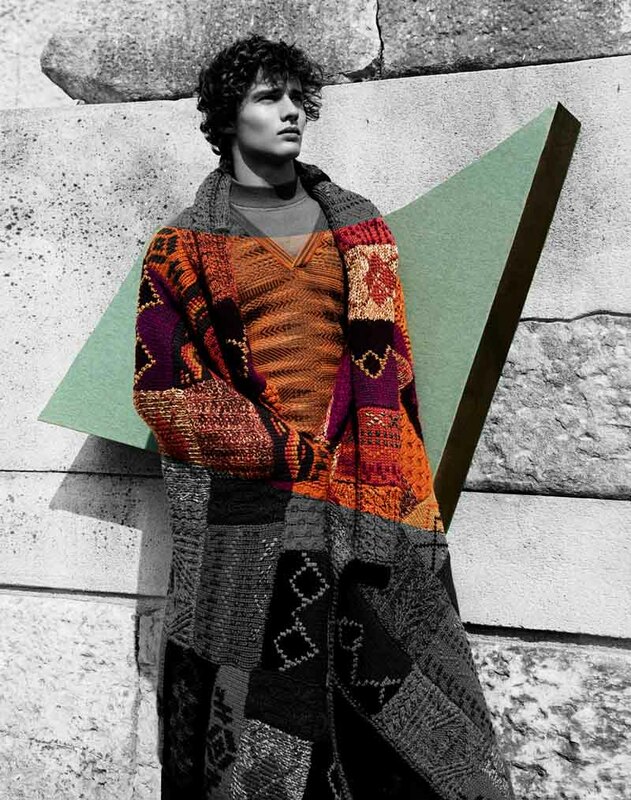 Angela Missoni has also collaborated again with Studio M/M Paris for art direction to help conceive a world advanced in time, like a daydream in the year 2970, symbolizing the aspirations, energy and highly imaginative vitality of the Missoni language and lifestyle. Fashion forms the foreground of the For Fall/Winter 2014-15 campaign, which is staged against the backdrop of an archaeological site and features abstract, geometric silhouettes of robotic “alter egos” which interact with Smalls and Barnhill. The campaign successfully juxtaposes the past and future, art and science fiction and creates a pictoral futurama, an ironic and surreal collage which seeks to evoke the palette, cuts, textures, patters and geometric patchworks of the collection.